Ten Tips For Surviving The Hungry Ghost Festival. 2.Do not open an umbrella indoors as ti may invite ghosts. 3.Do not marry, start a new business,or move home during ghost month. 4. Do not wander after midnight. 5.Chopsticks placed upright are a direct invitation for ghosts to partake in your meal. 6.Do not sleep facing a mirror or reflective surface. This may guide ghosts to you. 7.Do not pat anyone's shoulder or forehead. It brings them bad luck and puts them at risk of being possessed. 8. Do not swim. Drowned evil ghosts seek victims for their rebirth. 9. Do not take photos,selfies or videos. Ghosts may appear. 10. Do not turn around if a voice calls you from behind. Lara and Ray have just reach their hotel in China, their first holiday abroad. The trip of a lifetime and beyond! They have arrived during the Hungry Ghost Festival. The streets are adorned with lights and offerings to the dead who are both loved and revered. Upon reading the ten tips for survival Lara realises that Ray has already broken the first rule. 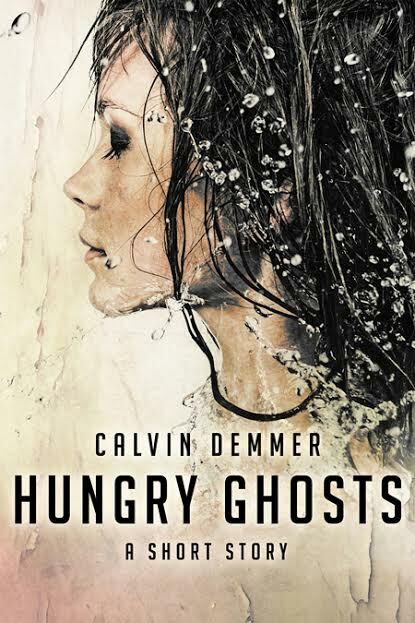 In this action packed tale which takes you on a creepy and gruesome path Lara and her boyfriend, Ray, have gone on a once in a lifetime holiday to China. It's make or break. But instead of feeling madly in love she feels empty, wanting more than what Ray can give. After one argument too many Lara decides to take a walk into the wilderness at dusk. She's determined to enjoy herself and make the best of things. Secretly she is trying to make up her mind over whether they should stay together, she's looking for a way out and if she carries on, up that path she might find it. A cool little tale that warns of not taking local traditions seriously and how you should never act on impulse! 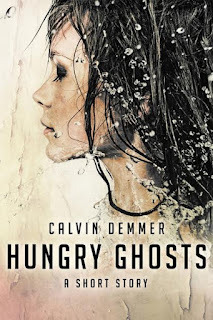 Calvin Demmer is a crime, mystery and speculative fiction author. When not writing he is intrigued by that which goes bump in the night and the sciences of our universe. His work has appeared in a variety of publicaions including Sanitarium Magazine, Morpheus Tales and Devolution Z.